What a difference a week makes ! A week ago today, I have to admit I was full of nerves and trepidation about starting a new crowdfunding campaign. What a difference a week has made. We have already reached 113% of our goal, having funded in just 4 days. Having met our goal now means we can start adding stretch goal. For those who might not be familiar with crowdfunding and stretch goals, a stretch goal is an additional item you can add to your campaign which gets 'unlocked' once you reach your next target. In our case, we are using our stretch goals to fund costumes for the dolls. 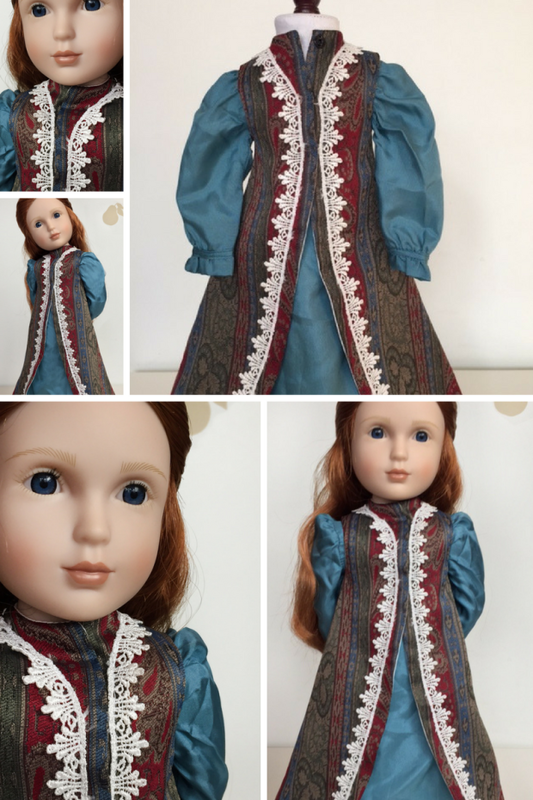 All of our costumes are beautifully made and will fit any of our dolls, new or existing. We'd love your help to get to the next stage so we can produce even more gorgeous items for everyone. Share, post, tweet and blog! Here is some inspiration for the weekend - a range of images from our first stretch goal - Elinor's Surcoat and Gown. Launching in May - New Crowdfunding Campaigns Soon!